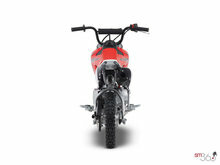 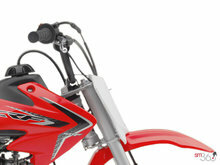 Muffler/spark arrester is efficient and quiet. 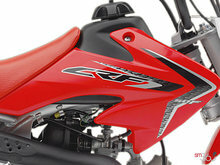 Powerful, lightweight front and rear drum brakes. 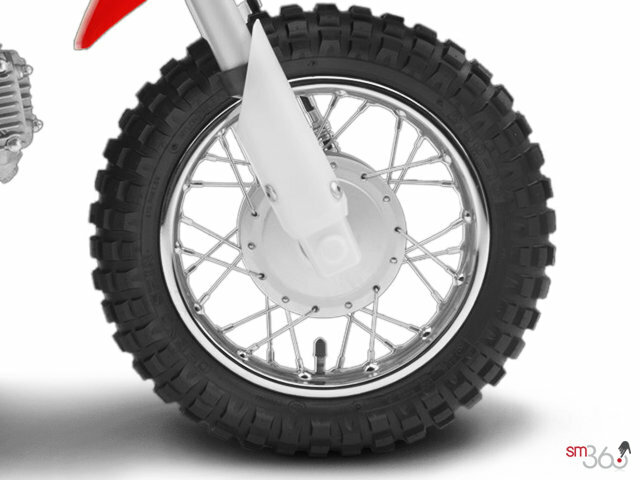 Wide, long-wearing off-road tires offer excellent traction. 13 mm piston-valve carburetor offers excellent fuel mileage and throttle response throughout the rpm range. 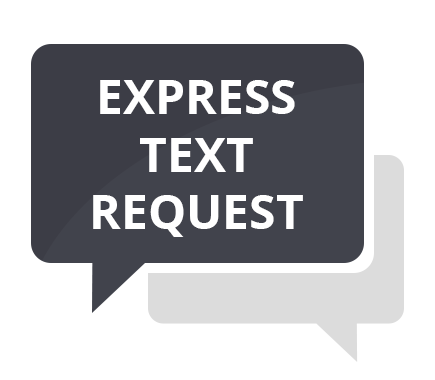 High-tensile steel frame and swingarm offer excellent balance of strength and compliance. Front suspension spring and damping rates calibrated for optimum rider comfort and bump absorption. Smooth-shifting three-speed transmission and automatic clutch offer simple operation and no-stall easy takeoffs. 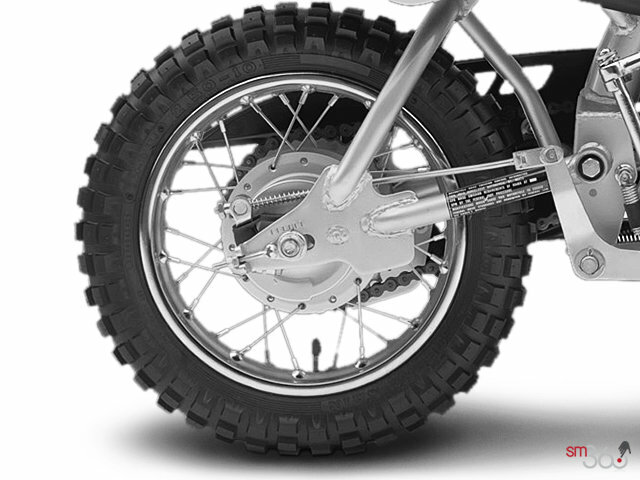 Inverted telescopic fork offers a plush 87 mm (3.4 inches) of suspension travel. 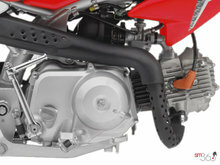 Single-shock rear suspension provides 70 mm (2.8 inches) of well-damped travel and is mounted to a reinforced swingarm. Motocross-style handlebar with padded protector. 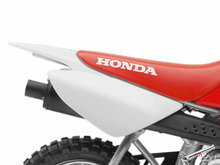 Polyethylene fuel tank is tough and lightweight, just like the bigger CRFs. 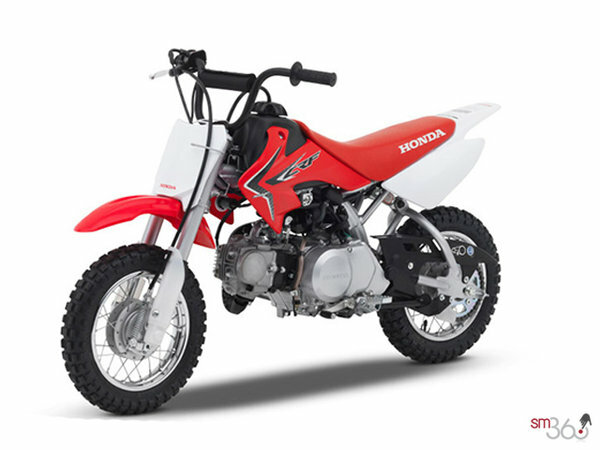 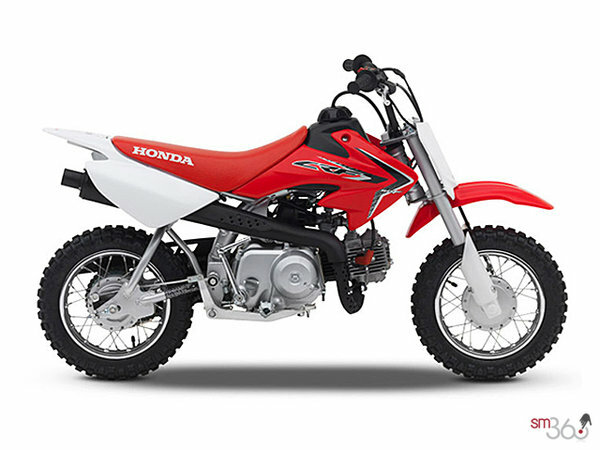 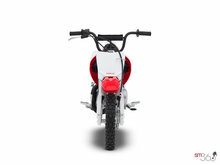 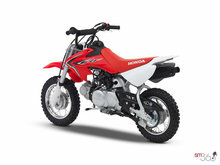 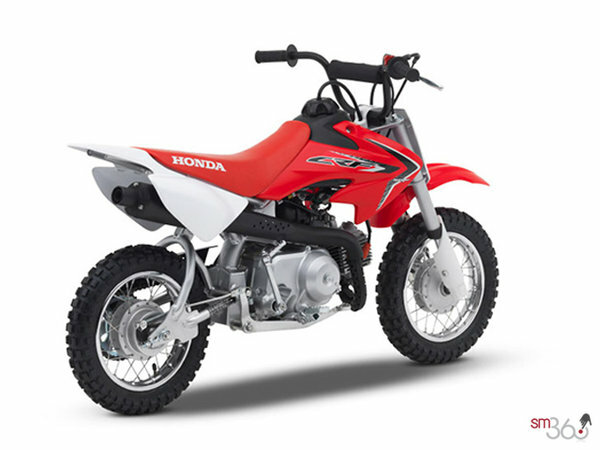 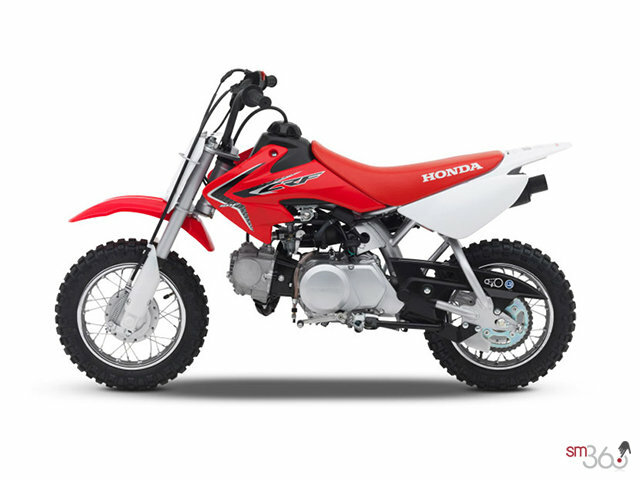 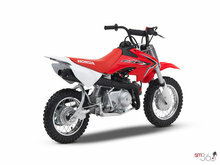 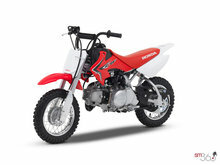 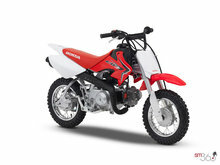 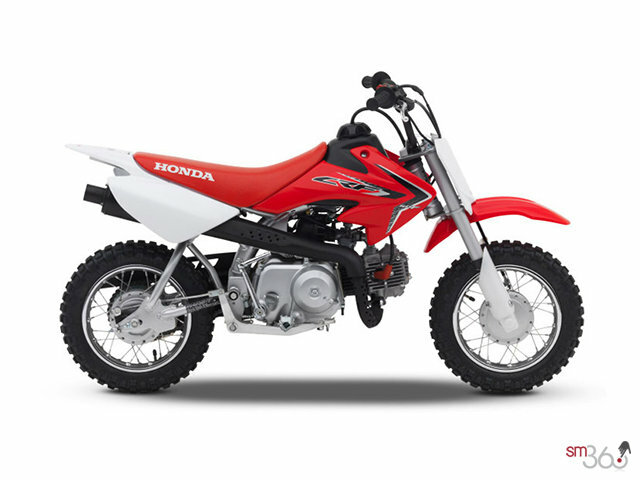 Narrow seat, slim fuel tank and extra-low 548 mm (21.6 inches) seat height provide excellent comfort and mobility for a broad range of young riders.